What would a farm holiday be without tasting the farm products? The Singerhof is a grassland farm with dairy farming. Our beautiful und healthy cows give us fresh milk every day, which we also use to produce natural yoghurt. Don’t you feel like watching the farmers milk the cows or even like helping, if you are rewarded with a fresh glass of milk afterwards? Our chickens also provide us with food. We have fresh eggs every day, which you are of course welcome to try. You will be surprised by the intense and fresh taste flavour of our farm products! 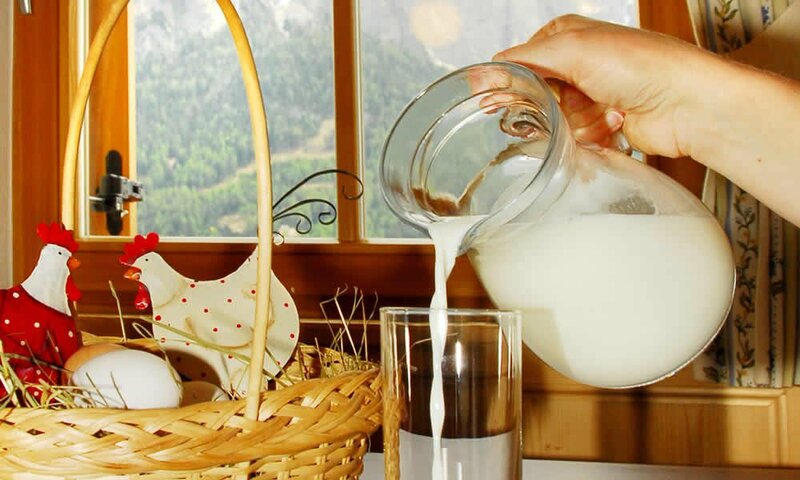 Every day we offer you the possibility to savour fresh milk, natural yoghurt and fresh eggs. Moreover we would like to give you the chance to try further products from our farm. We have a farm garden with many different herbs and vegetables. 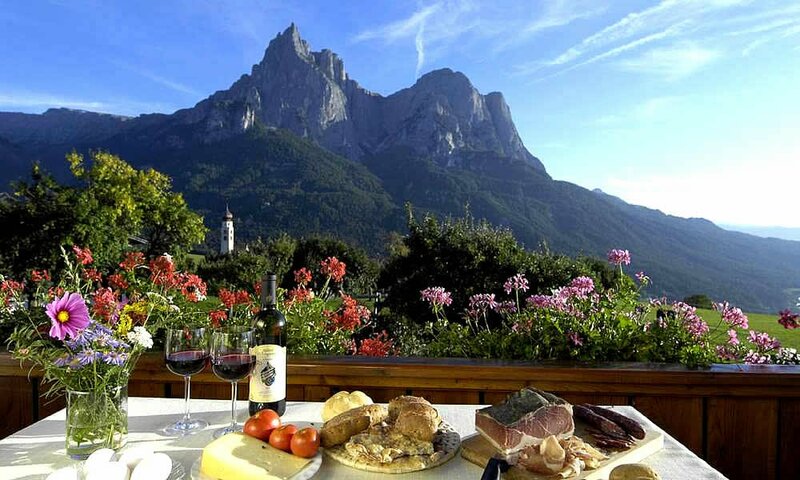 Depending on the season and availability you can also eat these herbs and vegetables from our farm and savour the South Tyrolean sun. Just contact us and ask which farm products we will be on season during your holiday at the Singerhof. We are looking forward to letting you experience the incomparable natural taste of our produce!